Brand Keys celebrated its 30th anniversary last month. And as much as we’ve done in that time, we are reminded of an old synergy axiom, "No one can whistle a symphony. It takes an orchestra to play it.” That turns out to be truer in today’s complex marketing arena, filled with more complex consumers watching and sharing every brand’s every move – 24/7 on both big and small screens. Orchestrating a successful and strategically engaging symphonic program for a brand (whatever the occasion, sponsorship, or holiday) has become more complex too. Thus, we are extraordinarily excited to announce a new and synergistic partnership between Brand Keys and Cult Collective to help brands more harmoniously (and profitably) accomplish just that. If you have read our blog, “The Keyhole,” or our Forbes columns before, odds are you know what Brand Keys does. For those new readers who don’t, we specialize in predictive brand loyalty and consumer emotional engagement metrics that can identify the direction and velocity of customer values and categories, and, as it turns out, sales and profits too. Cult, a leading marketing consultancy helping global brands engage consumers in ways that lead to higher customer loyalty and profitability, is an enterprise composed of a consortium of companies across North America specializing in identifying the right marketing, strategy, social media, creative, and tactical market maneuvers for brands. With this new alliance, the two firms can amplify brands’ abilities to deepen brand-to-consumer emotional engagement and customer loyalty by fusing Brand Keys’ validated research-based methodology with Cult Collective’s marketing implementation expertise. Ideologically, the two companies are aligned in their belief that customer engagement is what truly drives sales and long-term, sustainable growth, and not just more advertising. This partnership is exciting not only because of what it means for both Cult and Brand Keys, both of which have a reputation for being thought-leaders and histories of smart, insightful, cutting-edge work for Fortune 500 companies, business leaders, and small brands alike. This new affiliation with Cult is an exciting opportunity for businesses to effectively optimize their marketing and media budgets and implement more engaging path-to-purchase strategies and go­to-market tactics. To paraphrase Cult Collective CEO Chris Kneeland, Brand Keys' statistical and predictive brand science, stacked up with Cult Collective's creative, will to yield even more potent brand solutions. Brand Keys is excited to work with Cult to design solutions that will create better emotional engagement for more brands than ever before. When you are able to do that you end up achieving more than you ever expected for your brands, more efficiently with higher profit margins, which is music to any company’s CFO and shareholders. And whether your brand program ends up sounding like a classical symphony or classic rock, independent validation studies have proven that optimizing your brand engagement efforts will have everyone whistling your brand’s tune. Bottom line: mobile, digital, and social brands continue to exhibit loyalty supremacy. New brands and categories make up more than a third of this year’s Top-100 leaders list. 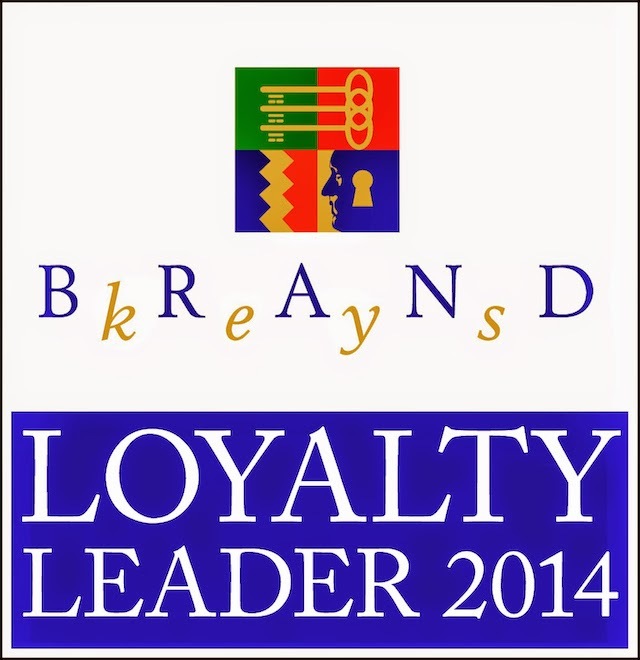 Apple, Amazon, What’s App, Google, YouTube, and Kindle head of our 2014 Brand Keys Loyalty Leaders List. This is the 18th year aggregating brand loyalty leaders, and the seismic shifts in loyalty leadership in terms of new categories and brands making appearances in the Top-100 continues. As we’ve always said – and the marketplace has proven – brand loyalty has always been driven by emotional engagement, and the rankings on this year’s list make it abundantly clear that connection, meaning, and differentiation is still everything to consumers. With 721 brands in 65 categories for consumers to rate, there’s a lot of competition for the top-100 spots. This year certain categories rose to the top because of their high levels of consumer emotional engagement. Oh, and their abilities to deliver against consumers’ increased expectations – in virtually any category you care to name. Thirty-six of the top-100 Loyalty Leaders are new brands or categories. Most new arrivals facilitate communication and social outreach: tablets, smartphones, and social networks, with What’s App (instant messaging), Netflix, and Amazon (video streaming), Instagram, and PayPal (online payments) now representing that trend. Other, new, non-digital/social categories include Fast-Casual Restaurants (Chipotle, Panera, Chick-fil-A), Insurance (USAA), Credit Cards (Discover, American Express), and Beer (Sam Adams). Dunkin’ Donuts was the only non-digital/social brand in the top-10, up 7 spots since last year, but not surprising when you realize their customers have rated them #1 in the out-of-home coffee category for years. Forty-five percent (45%) of the top-100 brands account for consumer outreach and engagement via cellular and social networks, and the phones, smartphones, computers, and tablets needed to meet ever-increasing expectations related to outreach and personal connectivity the consumer uses as a yardstick to measure brands. Last year beauty and personal care brands accounted for nearly a fifth of the top-100 but this year represent only 13%. The emotional engagement that women share with their beauty brands can be very powerful, but again, consumers are looking harder for a reason to believe and a reason to engage with – and buy – one brand versus myriad ‘me-too’ products. Check out who were among the brands to show the greatest positive loyalty increases. Traditional retail brands were down 50%. The inability for many retailers to provide meaningful differentiation – beyond low-lower-lowest pricing strategies – has seriously eroded loyalty levels in the retail category. That, and a shift to buying online and via mobile devices. Retail brands that remain among this year’s Loyalty Leaders include J. Crew (#50), The Gap (#80), Macy’s (#88), Victoria’s Secret (#75) and T.J. Maxx (#92). With minor exceptions, it turns out that the biggest Loyalty Leader losers were primarily categories. Certain categories just disappeared. These included Breakfast Cereal, which shouldn’t surprise anyone. The category has seen dramatic shifts over the past few years in how and what is consumed for breakfast. And anyway, and how much loyalty can you expect when “differentiation” is defined as which flavor marshmallow is in this particular box? Pepsi and Coke. Sure, the category has shifted there too, but they’re both cold, refreshing, come in a bottle or a can, have ubiquitous brand awareness and distribution, and are each on sale alternate weeks. What is there to be loyal about? ABC News, CBS News, NBC News, and the Today Show didn’t report this year list, some accounted for by the ascendancy of mobile. Today a tablet screen and a TV screen are regarded as two entirely different platforms engendering different loyalty and engagement levels for different programming. Certainly broadcast news is watched, but not considered an important first-source to be loyal to. And you can search all you want, but you won’t find Bing or Yahoo on this year’s list either. When it comes to search, Google (#7) is the only one in that category that that appears. Not surprisingly General Motors didn’t make the list this year. Where loyalty exists, consumers are six times more likely to give a brand the benefit of the doubt in uncertain circumstances. But that well of forgiveness isn’t bottomless, especially in the face of seventy-five GM recalls (more than 30 million vehicles) this year alone. Loyalty is about the strongest bond you can create between customer and brand, but even loyalty has its limits! McDonald’s, which up till this year had appeared since the List’s 1996 inception, dropped off the top-100 list too. In another study conducted earlier this year by Brand Keys, Millennials, a critical audience for fast food chains, reported a 20% decrease in visits to them, with 42% reporting increased visits to fast-casual restaurants, a category whose brands have shown up for the first time on this year’s list. When asked to characterize traditional fast food brands, including McDonalds, 53% of this group called it “dollar food,” the result of a habituated fast food brand reliance on the ‘Dollar Menu’ to boost sales. The thing is, you can’t build loyalty on the basis of price. In the absence of brand meaning, stuff for a dollar, a new wrap, or new app, and all the social networks in the digital universe isn’t going to change things for them. Other brands not appearing on the Loyalty Leaders List this year included Ben & Jerry’s, Canon (point-and-shoot cameras), H&M, Haagen-Daz, Skechers, Skype, Southwest Airlines, Walgreens, and Walmart. Which brands had the greatest loyalty and engagement erosion? OK, it’s true that some of the shifts are certainly due to the creation and adoption of new categories and brands that better meet – even exceed – customer expectations. But brands that understand that real emotional connections can serve as a surrogate for added-value, and the brands that have made loyalty and emotional engagement one of their real strategic priorities and KPIs will always show up at the top of a consumer’s list. Or, for more information regarding this year’s Loyalty Leaders List, your brand’s position on the list, or general information about integrating predictive loyalty and engagement metrics into your marketing efforts, feel free to contact: Leigh Benatar at leighb@brandkeys.com or 212-532-6028. Q: What do you do when your brand gets stale? A: Find a fresh recipe that offers more than just product. McDonald’s is desperately looking to change the image of their food – from unhealthy (and, apparently, unnatural) to something closer to how people see fast-casual restaurants, that have apparently been eating McDonald’s proverbial lunch! To that end, they’ve hired Grant Imahara, former host of Mythbusters, as part of their new social media campaign. Mr. Imahara is, ostensibly, far less frightening than their previous Facebook and Twitter Happy Meal mascot that ended up drawing massive mockery and scorn from audiences. And, four straight months of declining U.S. same-store sales. To be clear, we don’t believe that the mascot contributed much to that decline. McDonald’s has been suffering from more than just a bad case of social media malaise, although it is worth pointing out that social media is not a universal antidote for what ails them! In a study conducted 3rd Quarter this year by Brand Keys, Millennials reported a 20% decrease in visits to fast food chains, 13% indicted fast food was “cheap” and “edible” but not much more than that. Fifty-three percent (53%) characterized it as “dollar food,” the result of a habituated reliance of fast food brands like McDonald’s (credited as the originator of the ‘Dollar Menu’) to boost sales. But apparently not working as well as in years past. Baby Boomers indicated an 18% drop in fast food restaurant visitation, citing that they were looking for “quality food,” and didn’t expect to get it at places like McDonalds. Gen Xers reported an 11% decrease in visitation. They wanted their food fast, but even that’s something McDonald’s has been reported struggling with. The company – apparently unaware of Albert Einstein’s definition of “insanity,” i.e., doing the same thing again and again expecting different results, has been rolling out new menu items and price promotions, including a $5 20-pack McNuggets, $2 jalapeño burgers, and National free coffee events. Ben Stringfellow, a spokesman for McDonald's USA, said, "People are looking for faster, more straightforward responses to their questions about our food." Actually they’re not, Ben. That’s what late-20th century research techniques and the ad agency told you. What they’re looking for is quality food (quality, which by the way, it turns out they’re willing to pay for at fast-casual restaurants), served in a reasonable timeframe. That’s not exactly the secret of the decade. But with consumer decision-making more emotional than rational, Q&A, no matter how many social media platforms are used, isn’t the answer to this problem. A new wrap, a “natural” frappe, or a social media app won’t fix what needs fixing. It’s the brand. And it needs reinvention. That and what the brand stands for à la emotional engagement. Where emotional engagement with a brand is high (and BTW, you can’t buy that for a dollar), consumers are six times more likely to trust you. When they do, they don’t ask questions like “Are your ingredients pure?” or “Is it actually meat?” They walk into your restaurants already believing all that! And more. Which is precisely why Chipotle Mexican Grill reported same-store sales growth of 17.3%. It seems as if the research McDonald’s is relying on is the kind of stale Q&A that stopped providing attitudinal and behavioral insights around 1995. Maybe earlier than that. There may not be such a thing as a free lunch, but here’s a free tip: It’s the brand, not the food. You’d think a company as big as McDonald’s, with all their marketing and insight resources, would have figured out that recipe by now! Three years ago Meg Whitman, CEO of Hewlett Packard, instituted a new turn-around attempt in the form of a new line of printers. More precisely, multi-functional printers (MFP’s). At the time of that announcement, H-P ranked 5th of 5 major brands we tracked in the MFP category and HP stock was at a ten-year low. In the spirit of fairness we did mention at the time that H-P was the largest printer maker in the world, but only if you counted number of “units.” It had only a miniscule share of the then-burgeoning MFP market. At the time Ms. Whitman noted, "We haven't had a new product lineup in seven years" and her plan to fix the brand so it was seen as innovative. Well, that and cost-controls and cutting nearly 30,000 jobs. Oh, and an announcement that they were going to come out with a smartphone. No, seriously, a smartphone. They had spent $1.2 billion dollars to acquire Palm, and debacle or not, consumers had apparently been crying for an H-P smartphone for a while [Editor: insert emoticon for sarcasm here], so why not? Currently the word on the street is that their “Slate” 6 & 7 will be introduced in India first this year. In the meantime on this continent Meg “Together-we-are-stronger” (her quote in 10/11) Whitman, is suggesting a different strategy three years later, to wit: “Being nimble is the path to winning.” Well, being nimble is good, especially in a world where consumer expectations move at the speed of, well, the consumer, so having a company and brand that is deft and agile is an advantage. So, to that end, H-P announced that the company is going to split into two smaller pieces. 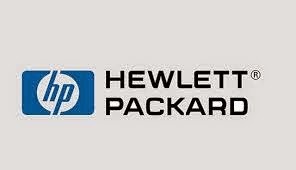 H-P will continue as the printing and computer part of the business, serving the consumer, and Hewlett-Packard Enterprises will sell services like data-storage and consulting and products like servers to large businesses. Now you may not agree with Ms. Whitman, but you have to admire her grit, because they really have to do something! Both revenue and earnings are down again, and how long will the U.S. market wait for a new tablet-like smartphone!? According to the current Customer Loyalty Engagement Index (whose rankings, by the way, correlate very, very highly with positive consumer behavior toward brands and, axiomatically, with sales and profits, and whose 2014 Loyalty Leaders List will be released next week) H-P is now rated 3rd of 10 brands in the MFP printer category – where they’re up against leaders like Konica Minolta and Canon. It’s worth noting that they were tied for 1st place this past January. H-P is ranked 7th (of 12) in the computer category, against juggernauts like Apple and Samsung and price killers like Lenovo. We don’t currently measure hardware platforms and converged systems, but you have to expect that Cisco will have something to say about a new competitor. And as to smartphones. . . So you’d think that having smaller, more agile operating units would help to meet shifting consumer needs and expectations. It worked OK for eBay and PayPal. But to be frank, those brands were really seen as separate categories and brands by consumers to begin with. They were also rated #1 in their respective categories in the Customer Loyalty Engagement Index, so if splitting H-P doesn’t seem as graceful and seamless as that kind of brand disengagement you’re not alone in that. One question raised by industry analysts about this decision is, “will a slimmed down H-P become a stronger, more profitable company?” But in what’s become a no-one-size-fits-all-world, the real question should be, “will consumers – B2C and B2B – decide to remain engaged with the brand in its new incarnation?” It’s worth remembering that for sure if they don’t, H-P’s engagement number won’t be the only thing that will continue to go down. As of September 2014, the San Francisco and app-based Uber ridesharing network of private car and peer-to-peer drivers was available in 45 countries and more than 200 cities worldwide. Lyft, which also parks their headquarters in San Francisco, is in 63 U.S. cities. True, Uber had a head start on Lyft, but still! Talk about accelerating brand growth! There are others entering the race, like Sidecar, also based in San Francisco, (their slogan, “A Whole New Way to Get Around”, although there has been this thing called “carpooling” around since WWII. Just saying.) but currently is in only about a dozen cities or so. You can find other rideshare services locally via an app or (very likely) on an index card on your company break room, but right now Uber and Lyft are the two big app brands. Uber (“Everyone’s Private Driver”) and Lyft (“Your Friend With A Car” – assuming your friend has a fuzzy, pink mustache on the front bumper of the car coming to pick you up) are currently the two most popular of the on-demand, app-based rideshare car services. Both are known for their very competitive, and sometimes controversial, approaches to acquiring customers and recruiting drivers. In the face of accusations of extreme price surging (charging higher prices for rides when demand is high, like holidays or bad weather) and aggressive recruitment tactics, Uber’s CEO Travis Kalanick described his company as “scrappy.” PayPal co-founder, Peter Thiel, (and an investor in competitor Lyft) on the other hand was quoted as saying, “If the slogan for Google is ‘Don’t be evil,’ the slogan for Uber should be ‘Do a little evil and don’t get caught!’” Both companies have accused each other of booking the competition and then cancelling rides at the last minute. When Uber started, they only offered full-sized luxury cars, under the name of “UberBlack,” but in 2012 they launched “uberX,” which made smaller vehicles available for rideshares. That program charges lower fees, and became competitive not only with other rideshare brands, but with traditional, local taxi services as well. In fact, in a blog posting last week, Uber announced that the 20% price cut for its lower-end UberX fleet they introduced in New York City this summer would become permanent: “From Brooklyn to the Bronx, and everywhere in between, uberX is the most affordable ride in the city.” But while lower fees may be paying off for the company, not everyone agrees. Uber drivers say it comes right out of their pockets, and they’re not happy. Just as Uber and Lyft are racing to prove themselves the most innovative and passenger-friendly rideshare app in a growing industry, they both received the green light for curbside pickups at Nashville International Airport (NIA), the very first airport to officially recognize rideshare services. Both services currently pick up riders at airports, but taxi services and airport operators have consistently maintained that this is illegal, with the service banned at Los Angeles, Memphis, Raleigh-Durham, and (ironically enough) San Francisco airports. To operate legally at NIA, the companies will have to apply for permits, pay user fees, and be plainly identified. No comment was made whether a pink mustache would be adequate in that regard. Not to be a drag on this race, but in New York another provider is going to give both Uber and Lyft a run for their money. A Tel Aviv-based company is introducing a rider-driver connection app named “Gett” (which, paradoxically, translates from Hebrew to “divorce document,” perhaps not the best name for a service that purports to be a rider-driver matchmaker. But as we say in New York, “Go know!”). They just announced an introductory deal that will run though the end of this year for a ride any time, under any traffic conditions, any place in Manhattan for $10. So some real price competition for Uber and Lyft. And NYC’s yellow medallion cabs. And, in light of the Lyft-Uber accusations of sabotage and price surging, perhaps an attempt at a more transparent and straightforward brand model, if not the best name in the world. Anyway, we are unable to comment upon the veracity of the accusations flying back and forth between the two, current category leaders, but will include flag-to-flag rideshare app coverage in our upcoming January 2015 Customer Loyalty Engagement Index. As professional branding consultants we can also say that consumers always appreciate – and benefit from – having more options. But especially when brands have to compete to see which can best meet your expectations. The ones that can are always the brand that crosses the loyalty – and profitability – finish line first.